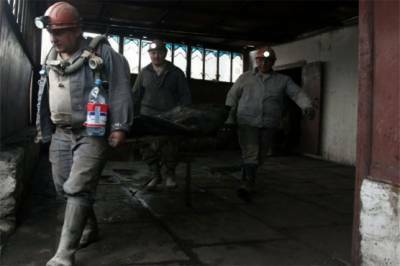 Kiev, Ukraine (Online): At least eight miners died on Thursday when a methane gas explosion ripped through a coal mine in western Ukraine, the latest mine disaster in the ex-Soviet state. According to Ukranian media, rescuers had managed to save an additional 20 miners who were trapped underground when the blast hit the mine in the western Lviv region near the border with Poland. Ukraine’s emergency Ministry and prosecutors confirmed that eight miners died while six others were hurt in the incident. Officials also stated that Prime Minister Volodymyr Groysman and Energy Minister Igor Nasalyk immediately left for the site after hearing the news. There were frequent mine accidents reported in Ukraine last year that claimed dozens of lives. But this is the first major explosion reported this year.